Being a puppy parent can often be overwhelming; there are so many decisions to make! What should I feed them? When should I start introducing them to new dogs? What kind of toys should I get them to help with teething? But one of the biggest and most important decisions to make regarding your new puppy is where to take them for puppy training. Puppy’s brains are like sponges; they soak up all the information around them which is why it is vital that the training you do with them reinforces behaviours that you want and starts them off on the right foot. But with so many different puppy training options out there, how do you choose what is best for you and your puppy? Here are 7 major things to look for when researching training for your puppy. Do you agree with the training method and philosophy? Many times, what you are paying for is the trainers experience, so low price point may mean inexperience. If a trainer has put in the work and education, it won’t be cheap to hire them and trust me, that’s a good thing. So now you know how to find the best training class for you and your pup. What are you waiting for? Training should start right away, so find one and sign up so you can set you and your dog up for success. And if you’re struggling finding one that fits your needs, check out our upcoming Puppy Essentials. For many of us, January 1st marks a new beginning. A chance to wipe the slate clean and start over. Set new goals and work on bettering oneself. More often than not, things like lose weight, eat better, quit drinking and travel more top the list of common New Year’s resolutions. But I’d like to challenge the dog owners out there to make spending more time with their dog a priority for 2016. By this I do not mean sitting at home with your dog and watching TV. I mean getting out there and exploring the world. Maybe it’s taking your dog to a new park once a week or doing a second walk a day. If you’re doing 30 minutes already why not bump it to an hour. Take them along with you on car rides and while you run errands (surprisingly many places are dog friendly). Play with your dog – games like hide and go seek, tug, or fetch make for a great time. Set up play dates for your dog. Start a dog walking group in your neighbourhood. 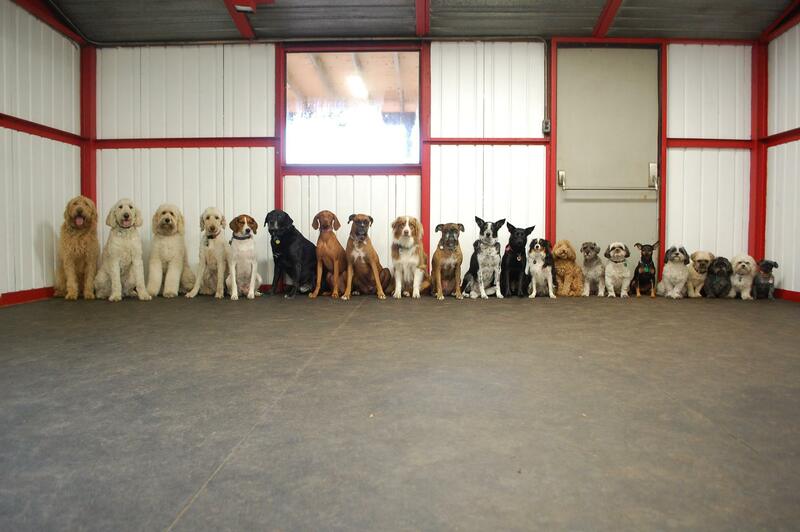 Enrol in a training class – agility, obedience, Dog Haus Training Essentials or come to our Social Circles each week. Even if you have an obedient dog there are still new things you both can learn and training is a fantastic way to improve your bond and enhance your skills as Pack Leader. Spending time with your dog is fun and rewarding to you both. The benefits are endless, a happier you and a happier dog! Being with our dogs helps us relieve stress and live in the moment. They ignite a childlike playfulness in us, reminding us not to take life so seriously. They lift our spirits by just being themselves unapologetically and that is simply beautiful. They offer us unconditional love and the best friendships we could ask for, don’t you want to be around to enjoy it? Dogs are here for a fun time no not a long time, so if I can offer you any advice it’s to spend as much time as possible with your beloved dog while you can. There are so many things you can do together to live a more fulfilled and balanced life. Get out there and enjoy life together!!! As many of you already know, I work with dogs every day in a pack setting. I see dogs of all sizes, ages, and breeds interacting in harmony. When I tell people I own a dog daycare without fail one of the first questions I get asked is “Do the dogs ever fight?” People find it hard to believe that 25-30 dogs can co-exist peacefully off leash. I can understand where their bewilderment stems from. Have you ever been to a dog park? It’s chaos! Dogs are running at large with no manners and no discipline. So yes, in those settings there are often conflicts between dogs and sometimes things get ugly. 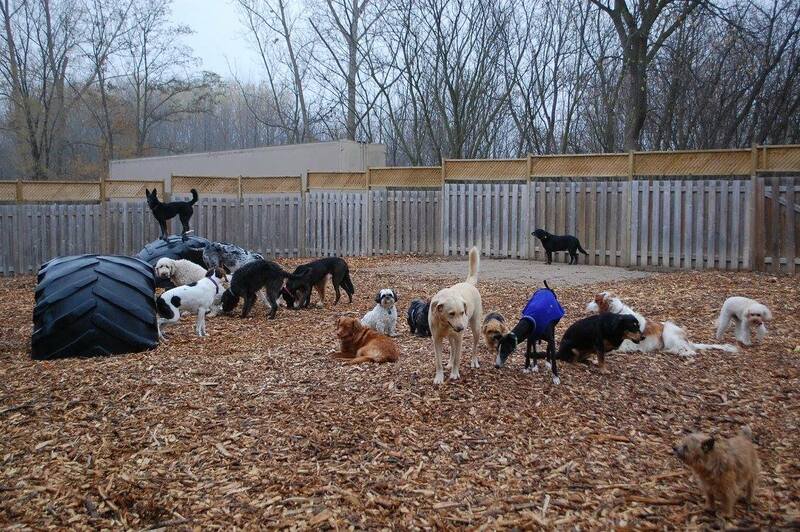 Here’s the difference between that chaotic pack dynamic and my balanced dog daycare setting. We have rules that keep the dogs safe and they are always implemented, no exceptions. These rules are simple really and are as follows. 1) You must be CALM to enter the pack. We will wait with dogs who are anxious or excited until they relax in order to meet the other dogs. This is CRUCIAL for keeping everyone in good spirits. Now think of how dogs arrive at the dog park…..they are crazy excited! This leads to disaster. Those dogs will no doubt cause a riot and someone may get hurt. 2) You must PLAY NICELY, with EVERYONE. We watch for certain dog behaviour and break up potential issues before they escalate. Many times at dog parks I hear people say “dogs will be dogs, just let them figure it out.” This survival of the fittest mentality is breeding bullies at parks and the learned behaviour of aggression towards another dog to be alpha will create future problems. In my daycare if a dog is out of line he is put in a time out and then reintroduced to the pack once calm. Owners should take accountability at all times in group settings. Parents would do the same if it were their child. 3) NO TREATS. Having treats when you are surrounded by dogs is a recipe for disaster. Some dogs become food aggressive when they feel threatened by other dogs. If you have a dog that will not come to you unless you have a treat, then my advice is do not let your dog off leash. Work on gaining their respect first so you do not have to bribe them with cookies. Although I’ve never had a bad experience myself I’ve heard dog park horror stories so I tend to steer clear of them. Instead, owning my own daycare allows me to provide my own dog and many other dogs with a safe and structured place to be social. I also host on leash dog walks all around the city. This still is socialization for dogs. It’s important to realize that dogs don’t always need to be off leash to make friends and be social. Learning to walk peacefully beside other dogs is a great way to help calm excited or anxious dogs and is very therapeutic for humans too. Best yet it still has the benefits of being in a pack. My next pack walk is happening TOMORROW Saturday December 13th at 4:30 PM in Waterloo Park if you and your dog would like to see what it’s about. Please be advised that retractable leashes are not permitted. Please keep The Dog Haus rules in mind when even doing on leash and off leash socialization with your dog. Be CALM. Be NICE and ACCOUNTABLE. And please no TREATS!!! Ten Tips to overcoming the Terrible Two’s!